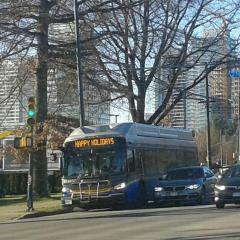 Please rename the following pages: https://cptdb.ca/wiki/index.php/Coast_Mountain_Bus_Company_route_744_'Haney_Place_/_Maple_Meadows_Station_/_Meadowtown' to Coast Mountain Bus Company route 744 'Haney Place / Meadowtown' https://cptdb.ca/wiki/index.php/Coast_Mountain_Bus_Company_route_743_'Haney_Place_/_Maple_Meadows_Station_/_Meadowtown' to Coast Mountain Bus Company route 743 'Haney Place / Meadowtown / South Haney' https://cptdb.ca/wiki/index.php/Coast_Mountain_Bus_Company_route_23_'Main_St._Station_/_Yaletown_/_Beach' to Coast Mountain Bus Company route 23 'Main Street Station / Beach' https://cptdb.ca/wiki/index.php/TransLink_SkyTrain_Yaletown-Roundhouse_Station to TransLink SkyTrain Yaletown–Roundhouse Station https://cptdb.ca/wiki/index.php/TransLink_SkyTrain_Broadway-City_Hall_Station to TransLink SkyTrain Broadway–City Hall Station https://cptdb.ca/wiki/index.php/TransLink_SkyTrain_Oakridge-41st_Avenue_Station to TransLink SkyTrain Oakridge–41st Avenue Station https://cptdb.ca/wiki/index.php/TransLink_SkyTrain_Langara-49th_Avenue_Station to TransLink SkyTrain Langara–49th Avenue Station https://cptdb.ca/wiki/index.php/TransLink_SkyTrain_Richmond-Brighouse_Station to TransLink SkyTrain Richmond–Brighouse Station https://cptdb.ca/wiki/index.php/TransLink_SkyTrain_YVR-Airport_Station to TransLink SkyTrain YVR–Airport Station https://cptdb.ca/wiki/index.php/TransLink_SkyTrain_VCC-Clark_Station to TransLink SkyTrain VCC–Clark Station https://cptdb.ca/wiki/index.php/TransLink_Skytrain_Production_Way-University_Station to TransLink SkyTrain Production Way–University Station https://cptdb.ca/wiki/index.php/TransLink_SkyTrain_Lafarge_Lake-Douglas_Station TransLink SkyTrain Lafarge Lake–Douglas Station Thank you! 7409 and 7437 to VTC. They are temporary placeholders for when signs are damaged. Probably referring to the fleet numbers, which were replaced in April. 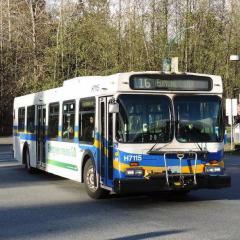 Please rename the following pages: https://cptdb.ca/wiki/index.php/Coast_Mountain_Bus_Company_route_C1_'Hastings_%26_MacDonald_/_Kootenay_Loop' to Coast Mountain Bus Company route 131 'Hastings at Gilmore / Kootenay Loop' https://cptdb.ca/wiki/index.php/Coast_Mountain_Bus_Company_route_C2_'Capitol_Hill_/_Hastings_at_Gilmore' to Coast Mountain Bus Company route 132 'Capitol Hill / Hastings at Gilmore'	https://cptdb.ca/wiki/index.php/Coast_Mountain_Bus_Company_route_C10_'Bluewater_/_Snug_Cove' to Coast Mountain Bus Company route 280 'Bluewater / Snug Cove'	https://cptdb.ca/wiki/index.php/Coast_Mountain_Bus_Company_route_C11_'Eagle_Cliff_/_Snug_Cove' to Coast Mountain Bus Company route 281 Eaglecliff / Snug Cove'	https://cptdb.ca/wiki/index.php/West_Vancouver_Municipal_Transit_route_C12_'Lions_Bay_/_Caulfeild' to West Vancouver Municipal Transit route 262 'Lions Bay / Caulfeild'	https://cptdb.ca/wiki/index.php/West_Vancouver_Municipal_Transit_route_C15_'Indian_River_/_Phibbs_Exchange' to West Vancouver Municipal Transit route 215 'Indian River / Phibbs Exchange'	https://cptdb.ca/wiki/index.php/Coast_Mountain_Bus_Company_route_C19_'Alma_/_Spanish_Banks' to Coast Mountain Bus Company route 42 'Alma / Spanish Banks'	https://cptdb.ca/wiki/index.php/Coast_Mountain_Bus_Company_route_C71_'Surrey_Central_/_Scott_Road_Station' to Coast Mountain Bus Company route 371 'Surrey Central Station / Scott Road Station'	https://cptdb.ca/wiki/index.php/Coast_Mountain_Bus_Company_route_C73_'Guildford_/_Surrey_Central_Station' to Coast Mountain Bus Company route 373 'Guildford / Surrey Central Station'	https://cptdb.ca/wiki/index.php/Coast_Mountain_Bus_Company_route_129_'Patterson_Station_/_Edmonds_Station' to Coast Mountain Bus Company route 129 'Patterson Station / Holdom Station'	Thank you! They will very likely be painted, but no specific details are available. However, someone asked earlier regarding the seating arrangement on Novas: TL has specified its preferred rear seating arrangement to be similar to the CMBC XD40s and XN40s (first row front facing, subsequent bench style) regardless of the tender and Nova offers that layout, but the layout is not confirmed and no details are available. CMBC uses hub piloted steel wheels from Accuride (or whatever is approved by TL/CMBC and is similar) and they're powder coated silver to match the livery. 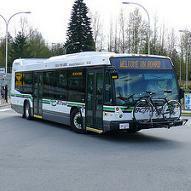 West Vancouver uses Alcoa Dura-Bright or similar aluminum wheels. Standard charcoal paint scheme. Window configuration will be two per side. TL;DR: Yes, some announcements need touching up and no, the Canada Line is technically not a part of SkyTrain. Yes, I agree that station names should also be included in stop announcements instead of vague references such as the example you gave with Cambie Street and yes, some announcements could use some touching up such as your example of Brighouse and Bridgeport. However, I'm going to stop you at where you state that the Canada Line is a part of the SkyTrain network. We must acknowledge the reason as to why Canada Line stations are not labelled as SkyTrain stations in the first place because technically speaking, the Canada Line is separate from the SkyTrain network, but we include it on our maps as "SkyTrain" just to simplify its complicated relationship with the network. This is most evident in the smallest of details on the Canada Line. When we approach a Canada Line station, we are not approaching a SkyTrain station as it is not labelled as such. It is labelled literally, "Canada Line Station" underneath the station name. Or another example can be at Granville Station signage near the Dunsmuir Street entrance: you're either being directed to SkyTrain, or you're being directed to the Canada Line because again, they're two separate entities that coexist in the network. And there's always the obvious stuff with the Canada Line fleet, Canada Line Attendants, and zero references to SkyTrain branding or decals, but we won't get into that. The "discrepancies" you state, is only a subtle nod to acknowledge that the Canada Line is not SkyTrain. But of course, this is only my two cents. This has been going on since September 2017 on weekdays only. Initially, there were seven trips that did this routing (two in the morning and five in the afternoon). Those trips usually interlined with the 116 during peak hours to skip going into the loop, but ultimately cuts out the Bonsor portion of the trip. However, since the December sheet, there's 11 trips that do this routing (three in the morning, eight in the afternoon), also on weekdays only. The 110 also does the Kingsway routing, skipping Bonsor, on weekdays only with two trips (one in the early morning and one during PM peak hours). 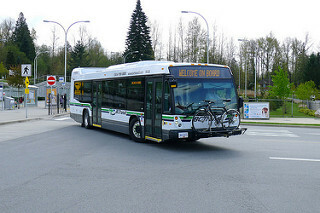 Please delete this page: https://cptdb.ca/wiki/index.php/Coast_Mountain_Bus_Company_route_705_'Meadow_Ridge_/_Haney_Ridge' Also, please rename this page: https://cptdb.ca/wiki/index.php/Coast_Mountain_Bus_Company_route_106_'New_Westminster_Stn_/_Metrotown_Stn' to Coast Mountain Bus Company route 106 'New Westminster Station / Edmonds Station' Thank you!